Thanks to her new television series, Marie Kondo and her "life-changing magic" have been all over my social media lately, eliciting a series of love-it and hate-it responses. Honestly, I'm not even interested in directly interacting with Kondo's show or book here, but before I begin what I have to say, I know that somebody's going to see the above image, immediately feel defensive, and respond with something along the lines of, "I don't agree with everything she says, but I did find Kondo's advice on _____ really helpful." So allow me to save you the trouble right at the outset. 1. God is kind of a maximalist. Even a bit over-the-top rococo at times. I mean, how many kinds and colors of butterfly does one planet really need, anyway? And don't get me started on the sheer number and variety of birds and flowers—really excessive. And how about PEOPLE? So many kinds and colors and shapes of people everywhere you turn, just cluttering up the space and taking up His time! But in all seriousness, if God delights in both the spare simplicity (deceptive simplicity, if you ask me) of the Mongolian steppes, and in the wild multiplicity of the Amazon jungle, then so can we. Whenever "my cup runneth over," I should not respond by asking Him to please try to show a little more restraint. When His kindness fills up our homes to bursting, the correct first response is "Thank you!" So I recommend that we refuse to purge the clutter until we have first received the clutter with gratitude. Every sweater that no longer fits is, first, a gift that was given by a good God. Every excess kitchen gadget is something that you've been blessed to receive, even if it was just for a short time. As the proverb says, "where no oxen are the manger is clean, but much increase comes from the strength of an ox." Mess and clutter can be evidence of laziness and greed, sure. 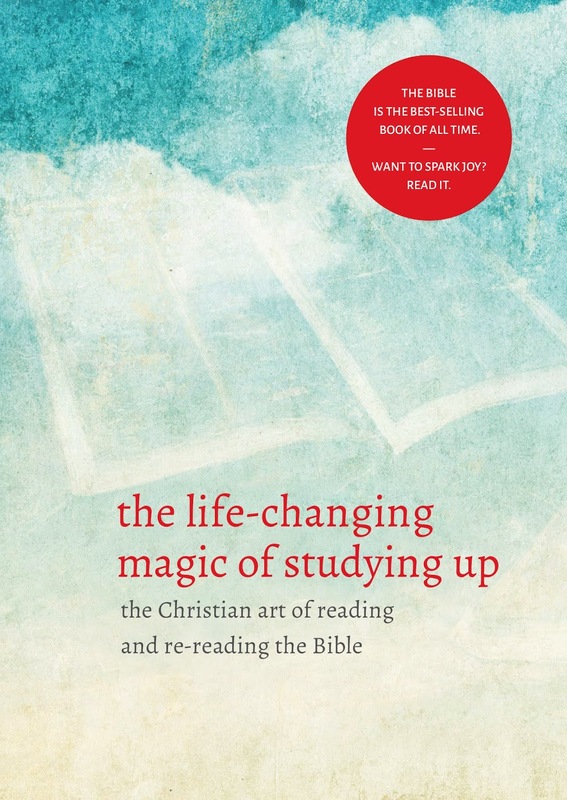 But quite often, mess and clutter are simply the evidence of a full and productive life. 2. 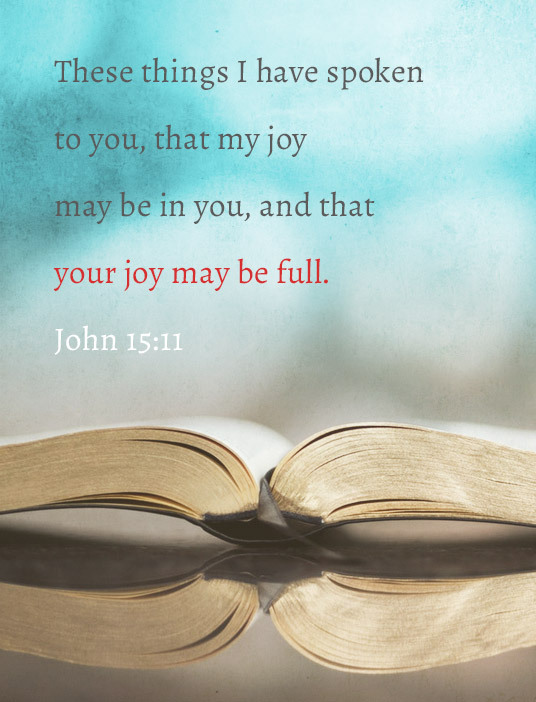 An ongoing lack of joy is symptomatic of deeper trouble than the jumble of cords and coffee cups on your desk. Again, I'm not saying that stuff can't present temptations, but the problem isn't in the stuff. The problem is in the heart. Always. Our anger, frustration, impatience, loathing, and every other ugly weed we produce is growing not from the pile of broken crayons in the junk drawer but from the rot in our own hearts. So if we must minimize something, I suggest we start with that inner mess first. 3. Bad news: We actually can't clean up that mess by ourselves. However, good news: There is someone who can. The Spirit of God is the one who can fully clean up the mess you've made of your heart. (And, yes, you have made a mess of it. And so have I. And so have we all. Don't let the tidy exteriors fool you.) Jesus is the only one who washes us clean on the inside so that love, joy, peace, patience, and all the other good fruit can start to grow where the weeds once were. So please, don't try to make the occasional "spark" of joy become a substitute for the unquenchable flame of joy that comes from a new life in Christ. In other words, even if you pare your purse collection down to just one sleek, all-purpose handbag, you can still manage to carry yourself to hell in it. New year's resolutions can be helpful, but a slim waist and a tidy closet, as good as they may make you feel for a short while, are not going to cure anorexia of the soul. Stop starving yourself, and start feasting on the words your spirit needs in order to thrive. Open the Bible. Read the Word. Meet God there. That, my friends, is the lifelong habit where the real life-changing "magic" is found. 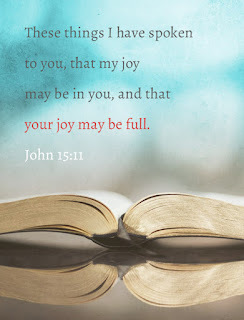 In His presence is fullness of joy. At His right hand are pleasures forevermore.